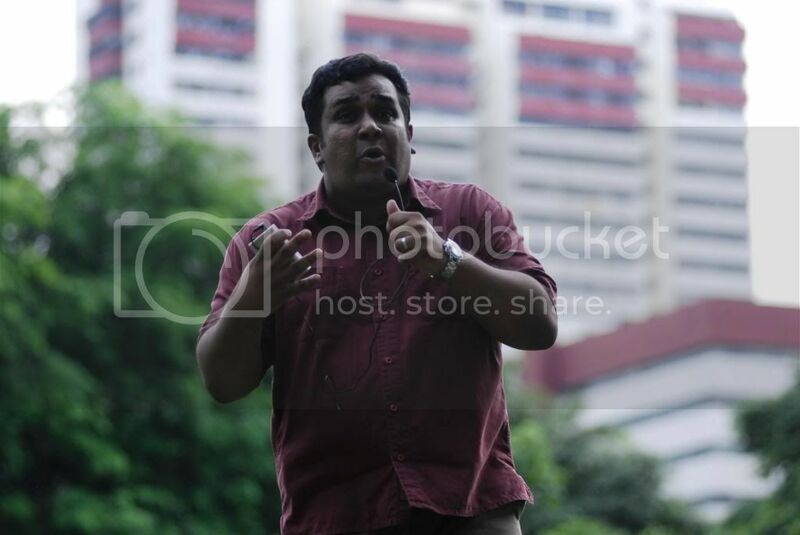 There is a lot of fuzziness in the statistics released by government agencies, say speakers at Hong Lim Park event. Jewel Philemon. It was a warm and humid Vesak Day afternoon. 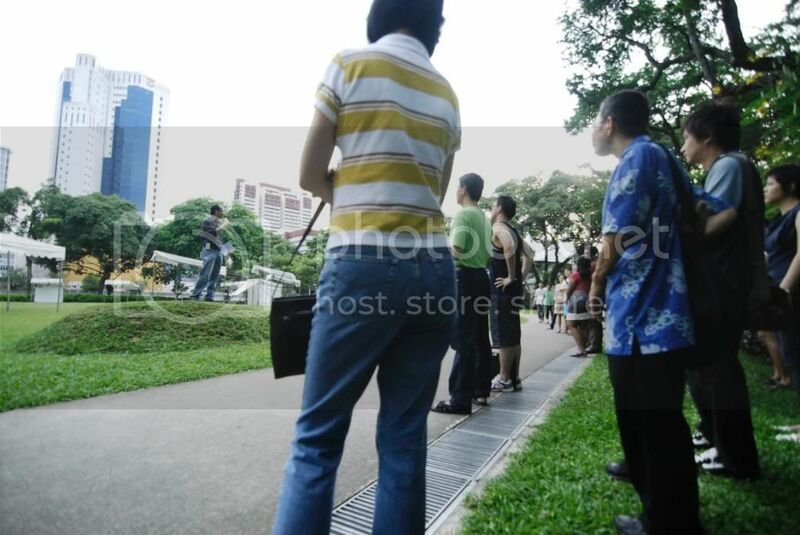 About 40 people had gathered to hear ‘a few good men’ press home their point at the Speakers’ Corner that there needs to be more protection in place for the Singaporean worker. “Why are companies more willing to recruit foreigners over Singapore?” asks Mr Leong Sze Hian. “Because foreigners have no CPF, their pay can be less. Their women workers will never get pregnant and go on maternity leave. There are less issues. The playing field is not right”, Mr. Leong Sze Hian was the first to urge the government to protect the Singaporean worker. Mr. Leong believes that it is a misconception that Singaporean workers are choosy. He cites a recent newspaper report to make his point that the retrenched and unemployed Singaporean is even willing to take a drastic pay-cut. “There are currently twenty seven thousand registered Singaporeans who are unemployed. How many are the unregistered? Three quarters of the unemployed are not registering!” he tells the gathering. Mr. Leong says that there is a lot of fuzziness in the statistics released by the government agencies. He asks for the statistics to be further broken down so that further information can be gleaned. For example, he asks, “What kind of jobs are the local worker shunning?” With better break-down of the statistics, the job-market could be better tailored towards these people, he says. 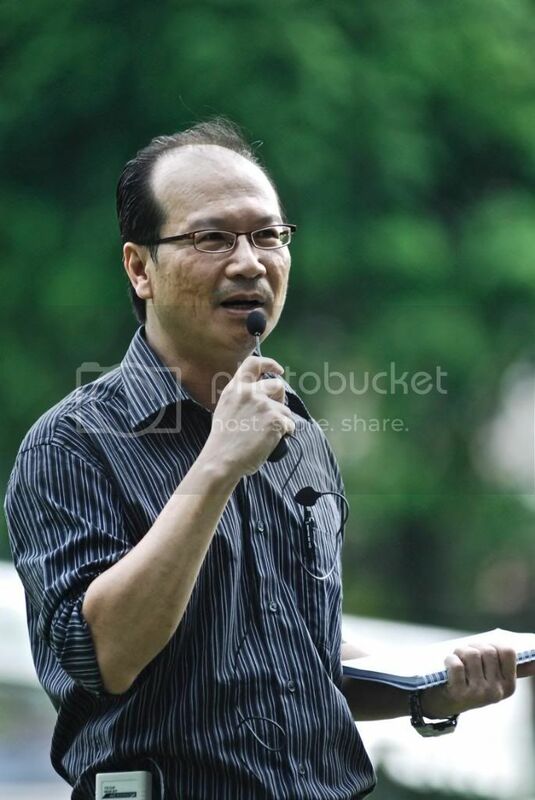 Mr. Andrew Loh, who facilitated the event, provided real life testimonies of retrenched and unemployed people. After Mr. Leong’s call to the government agencies for greater transparency in releasing appropriate data so that the unemployed could be better helped, Mr. Loh read a heart-wrenching letter from a supporter of the event. The letter-writer said she could not come to the event because she was going to New Zealand to be with her children. Both she and her husband had been retrenched within months of each other. Now, the entire family, along with their two children, are contemplating leaving Singapore for good. “With properly broken-down statistics and data, we can create solutions!” she said. “Where is the police?” teased Mr. Gilbert Goh, the founder of transitioning.org, a group that helps the unemployed and the retrenched. 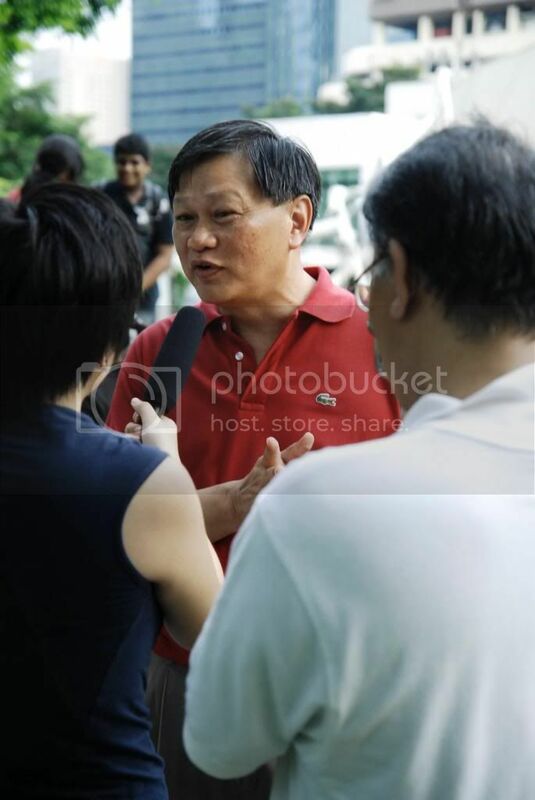 “A lot of my friends whom I asked to support this event did not come because they are afraid of being arrested.” Mr. Goh dwelt at length on “age-biased hiring and said that it is not good enough to ‘discourage’ such practices of the employers, but that the government should create policies which would make such hiring practices illegal in Singapore. He said that he has many anecdotal evidence that workers as young as thirty-five were being discriminated against by employers. “If you are unemployed, the government says ‘go for training’ and if you qualify they give you financial assistance and training allowances; but is this enough?” he asked. “I was quite disappointed in the turnout today”, started Mr. Ravi Philemon. “But then I thought, perhaps the unemployed and the retrenched have got just enough money in their EZ Link card to go for the next interview”, he said, to a round of applause and laughter. “Although they are not here in person, they are surely with us in spirit.” He urged those that present to take heart in making their concerns and voices heard for the unemployed in this crisis. Mr Philemon spoke at length on the need for unemployment insurance and drew rounds of applause from those present. He related a recent webchat session he had with the Manpower Minister, Mr. Gan Kim Yong. He told the minister that Unemployment Insurance should be a matter of rights for the workers and that workers should not be dependent on handouts in the form of allowances and aids. He said that Unemployment Insurance gives the retrenched and unemployed worker a sense of financial security, that it encourages domestic consumption which keeps the economy going at an acceptable level, and that it also gives financial institutions the added assurance to keep on lending even in the event of an economic crisis. The ‘few good men’ may be holding another similar event in a few months’ time.